Since opening our doors in July 2016, Activate has been privileged to work with some brilliant people and tackle some amazing projects. Here are a sample, please contact us for more details. Activate is a framework consultant to TransLink in metro Vancouver. Under this, we worked with EcoPlan to produce a road map for collaborative action on new mobility, and introduced the novel concept of a mobility lab. Advising Applied Wayfinding, Activate planned a system for navigating the proposed Singapore high speed rail station. The plan set out to use technology to create a legible space with the fewest possible signs. 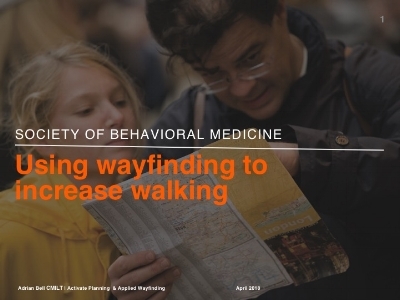 Adrian is a regular speaker and in April 2018, was invited by the US Centers for Disease Control to address the Society of Behavioral Medicine on how information design can stimulate healthy, active mobility behaviours.